Micro scalp pigmentation or scalp micropigmentation is a procedure whereby the natural look of short or shaved hair is replicated by applying natural pigments at the epidermal level of the scalp. In layman terms, micro scalp pigmentation is also known as medical hairline tattoo. MSP is suitable for all types of hair loss or baldness no matter the extent or stage of hair loss, age, gender, skin type or colour. 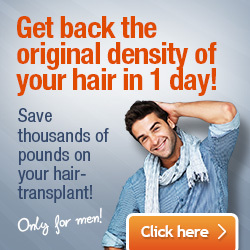 MSP comes at a much lower cost than hair transplant surgery. SMP treatment is usually carried out in 2-3 sessions, but depending on the stage and extent of hair loss, it can even last for 4 to 6 sessions. The actual procedure is preceded by a consultation in which the hair surgeon will assess the extent of hair loss, will discuss the patient’s requirements and needs, will decide the hairline position and shape, the density and shade of the pigment to be used. The actual instrument used for placing the dots on the scalp of the patient differs from hair clinic to hair clinic, but generally a pigment gun and needle is used. The pigment dots are actually layered over the course of several procedures to achieve the required density, darkness and blend. As the pigment dots are applied to the scalp, tiny wounds are created and scabs are formed as part of the healing process. When the scabs fall, they take a portion of the pigment with them, and pigments are also attacked by the patient’s immune system leading to the shrinking and lightening of the pigment. This is why between different sessions a few days are necessary for this process to unfold, and a few subsequent sessions are needed to achieve the right density and blend of the pigment. After each session, patients are required to refrain from washing or shaving their head for at least 5 days. At the end of the procedure, patients can expect a natural look that mimics the look of hair follicles growing out. Hair surgeons place great emphasis on following the pattern of your natural hair when placing the pigments in order to achieve natural-looking results. 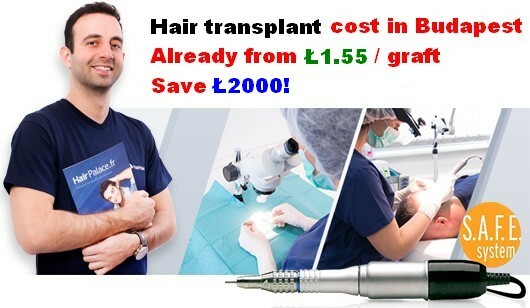 MSP (or SMP) is also used to boost the visual effect of hair transplant procedures, and it can be used in complete or near complete hair loss, in diffuse hair loss, to camouflage the symptoms of alopecia, and in many other cases where it is necessary to mask complete or partial hair loss. Does micro scalp pigmentation hurt? Is micro hair pigmentation (smp hair) right for you? SMP (hairline tattoo) can be used both for women and men, irrespective of the stage of hair loss. Even with long hair the thinning areas can benefit from the boost micropigmentation can offer. Micropigmentation produces permanent results, however, subsequent changes can be carried out with laser revisions. Another advantage of MSP is that it can fit modest budgets as well. Depending on your budget, desired look, and tolerance level to discomfort and pain, micro scalp pigmentation can be a good fit for you.